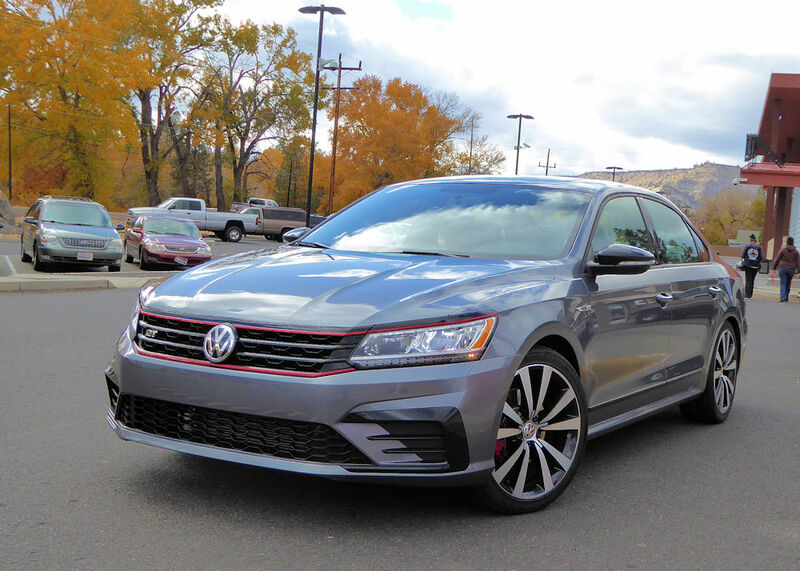 To add more pizzazz to the aging Passat, Volkswagen debuted a special GT model designed by the company?s North American engineering hub in Chattanooga, Tennessee. The design was derived from extensive feedback from U.S. customers and dealers. 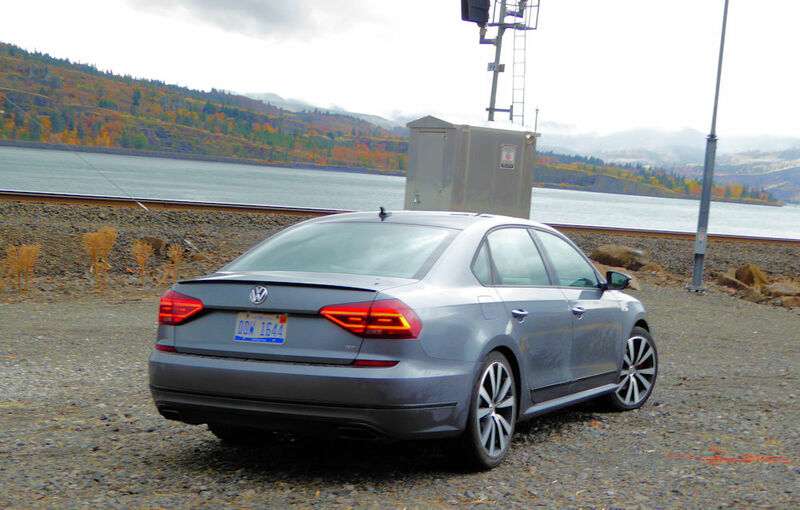 We borrowed a Passat GT for a road trip recently and we were delighted with the performance and comfort of the mid-size sedan on the four-day trip. The alterations that created the GT were minimal but non-the-less impressive. While most of the changes were cosmetic with features like a honeycomb grill, red accent line and a distinctive bumper, there are a few important functional changes. The headlights are LED as are the daytime running lights and it has a sport suspension that gives it a more planted, aggressive look. A black roof is complemented by black mirror caps and black window and door trim. Two-tone 19-inch ?Tornado? wheels are accentuated with red-painted brake calipers. IN the rear changes include a black spoiler, blackened LED taillights, black bumper trim and a double exhaust with an acoustic package. The interior enhancements included a piano black center console and vent trim, carbon fiber optic d?cor, black headliner, and aluminum GT-badged sills. 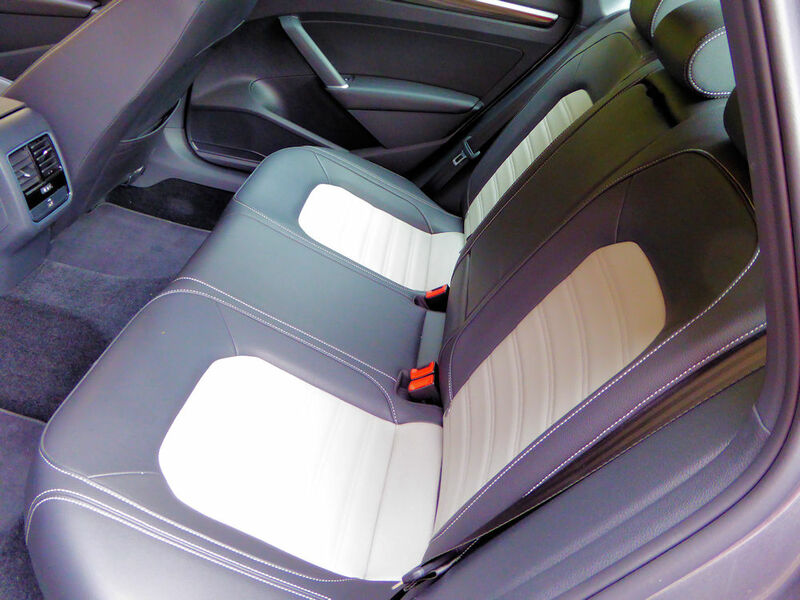 Seating surfaces are black leatherette with Moonrock Gray inserts and contrast stitching. 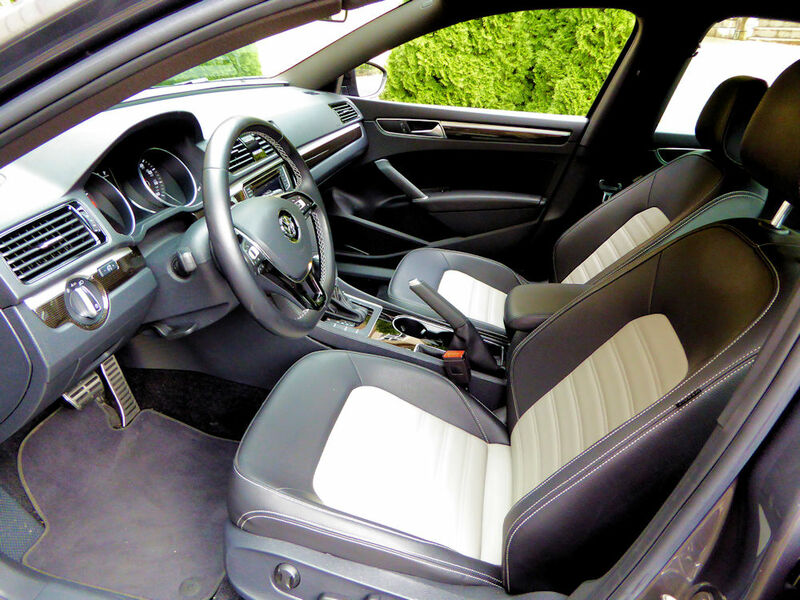 Standard interior comfort features include: a leather-wrapped steering wheel, 8-way power driver?s seat, heated front seats, dual-zone Climatronic? automatic climate control, and heated side mirrors. Our test car did not have a navigation system, but it did have a Composition Media infotainment unit with 6.3-inch capacitive touchscreen display. There is also standard Bluetooth? for compatible devices, Voice Control, and Volkswagen Car-Net? App-Connect technology that offers compatible smartphone integration with the three major platforms?Apple CarPlay?, Android Auto? and MirrorLink?.? It has two USB ports and SiriusXM? Satellite Radio. 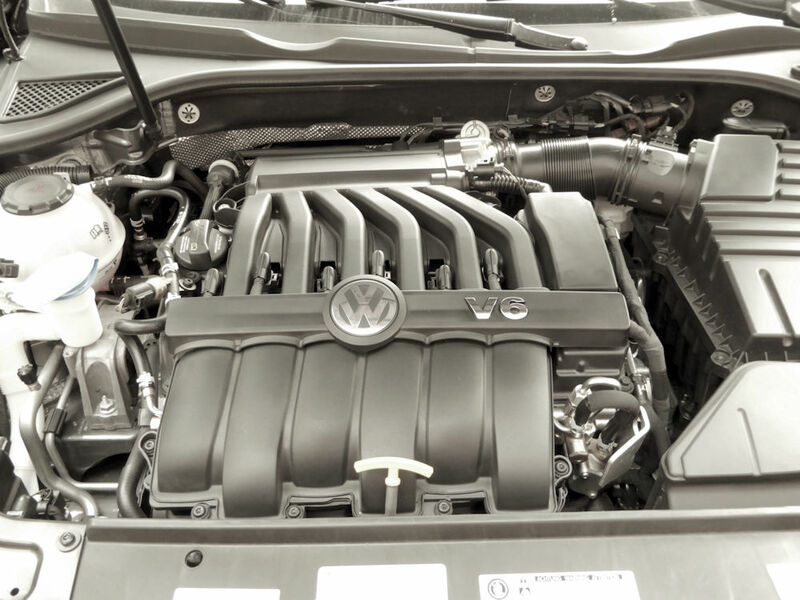 The heart of the Passat GT is the 280-hp 3.6-liter VR6? engine with a six-speed DSG? automatic transmission with Tiptronic and steering wheel-mounted shift paddles. Buff magazine testing lists a 5.8 second 0 to 60 mph acceleration time along with excellent passing power. We could feel a hint of torque steer from the front wheels when the accelerator was to the floor and pulling into the on-coming lane to pass. In addition, the enhanced dual exhaust system produces an impressive deep throated exhaust note we don?t normally expect from a Volkswagen. The features that most surprised us was the good fuel economy. We normally drive 3 or 4 miles per hour over the posted limits and on this trip, the limits ran from 55 to 80. 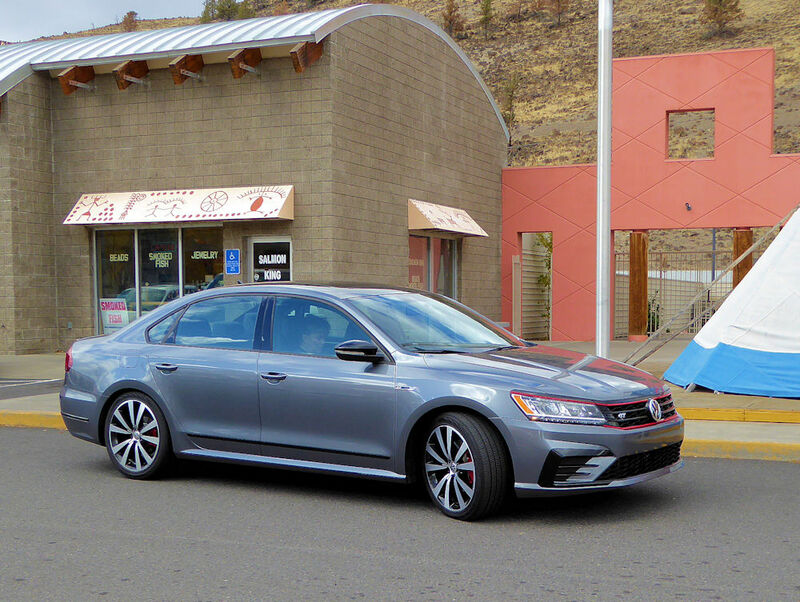 The EPA estimates the Passat GT at 19 mpg city, 28 mpg highway and 22 mpg combined. We averaged 29.2 mpg over the 1,800-mile drive. Adding to the performance are the good handling characteristics of the Passat GT. It?s not at the same level as the some of the big-name sport sedans, but it?s perfect for the spirited run through the mountains or other winding roads. The handling is flat, well balanced with good steering feedback. 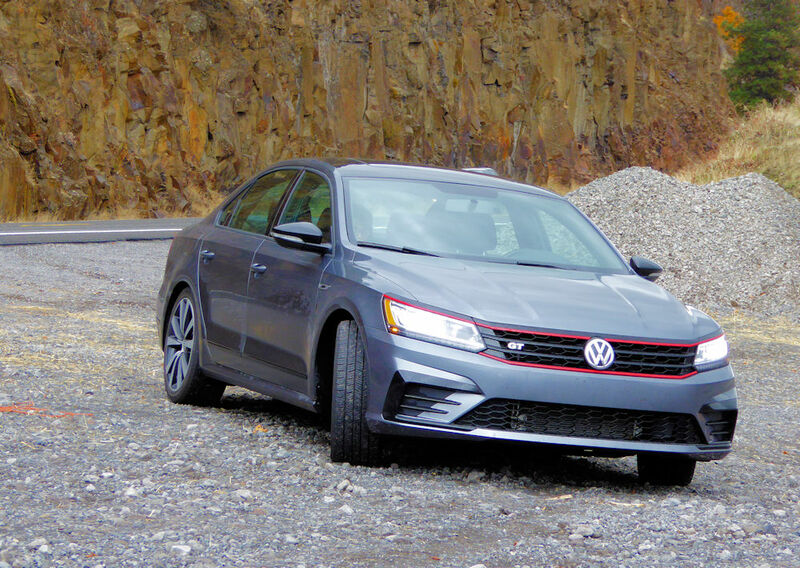 The latest safety technologies and driver aids are an important consideration to most new car shoppers and Volkswagen has stayed up with the latest offerings. For example, the Driver?s Assistance Package which includes Forward Collision Warning and Autonomous Emergency Braking, Blind Spot Monitor with Rear Traffic Alert. Plus, upper level models now have standard Adaptive Cruise Control. One of the most important new additions to the entire Volkswagen lineup is the six-year/72,000-mile People First Warranty which includes powertrain coverage for engines and transmissions. All the elements of the People First Warranty can be transferred to subsequent owners for up to six years or 72,000 miles, whichever occurs first, from the date it was first sold new. Volkswagen is offering seven trim levels of the 2018 Passat: S, SE, SE with Technology, SEL Premium, R-Line, V6 GT and V6 SEL Premium. The base prices of these models range from $23,845 the S to $35,500 for the V6 SEL Premium which comes with all the goodies. Other than aftermarket-style accessories, the top price of the V6 SEL Premium is $35,545. The GT we drove was priced at $29,995 including the destination charge and no options. 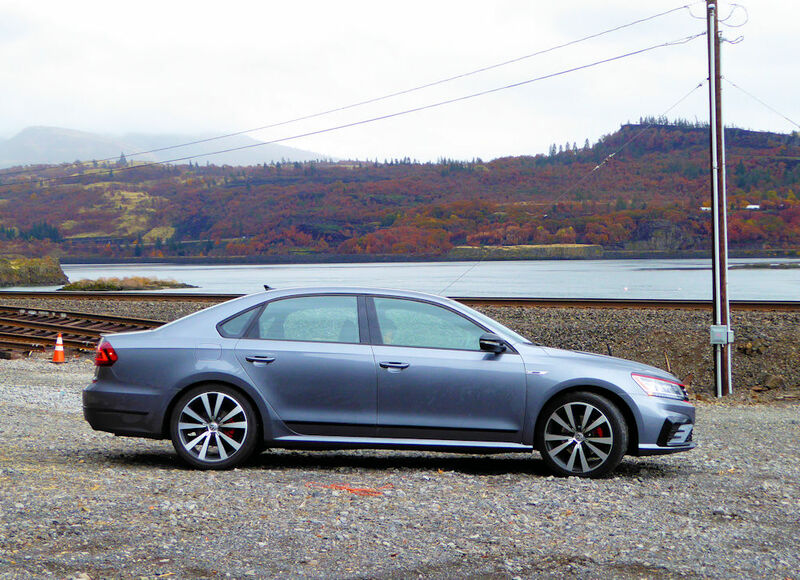 The Volkswagen Passat GT offers a nice package with good performance, and it looks good, too. There should be some good deals available in the next year as they phase out this current model replacing it with an all-new version is in 2020.